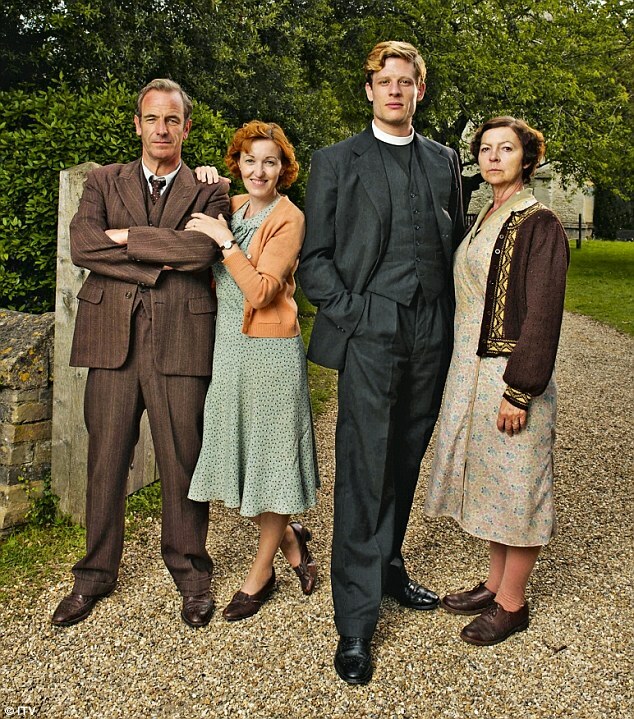 Have you been watching Grantchester on Masterpiece Mystery? On my PBS station, it’s been airing at 10:30 on Sunday nights (after Downton Abbey and after the horrifyingly bad Downton wrap-up show), in what is possibly the worst time slot available. Despite that, it’s a really good show. (And available to watch online.) It’s a fairly standard, slightly dark, amateur-detective show (one of my favorite genres), set in the charming British countryside, where a charming country vicar and a slightly-less-charming-but-still-quite-charming police detective team up to work together to solve the surprisingly high number of murders that happen in their sleepy little village. 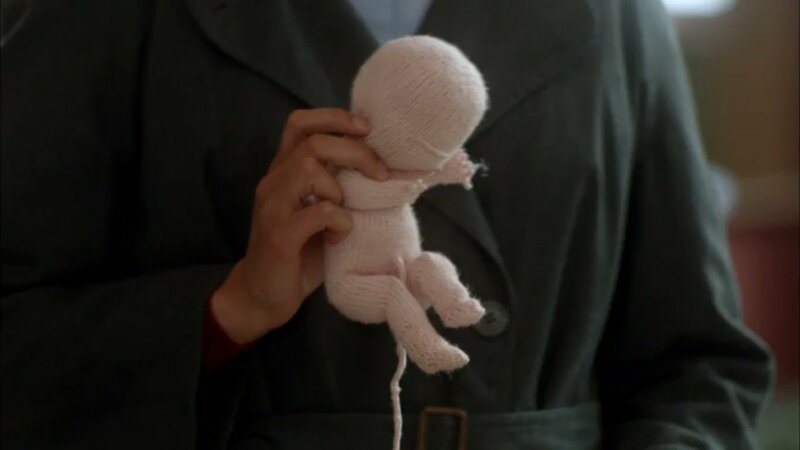 And, I have to say, the knitting game for this show is simply top-notch. 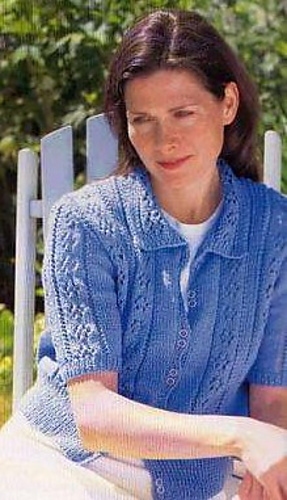 Example 1: A fantastic crochet bed jacket. 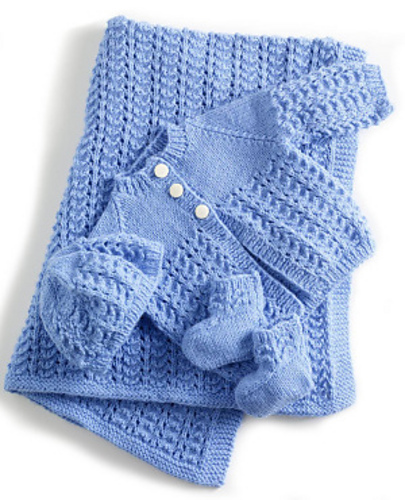 Example 2: A gorgeous graphic-knit cardigan. Example 3: Not one, but two beautiful (and practical) cardigans. I particularly love the geometric trim on the one on the right. 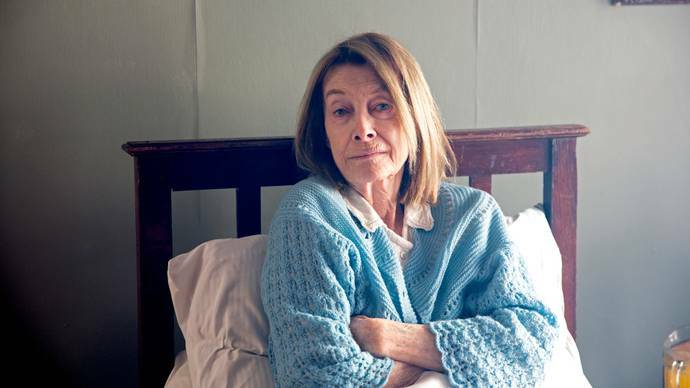 This show makes me want to start on a new cardigan of my own. This one is sort of 50s-by-way-of-80s, with a pretty lacy pattern. And this one is totally sharp. I love the pinstripes and mitered corners. Very cool. Do you have a favorite decade of fashion? 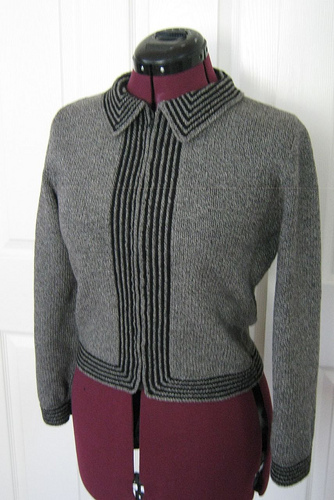 This entry was posted in Inspiration and tagged 1950, 1950s, 50s, british, cardigan, fifties, grantchester, masterpiece, masterpiece mystery, PBS, sweater on March 6, 2015 by onemilljellybeans. 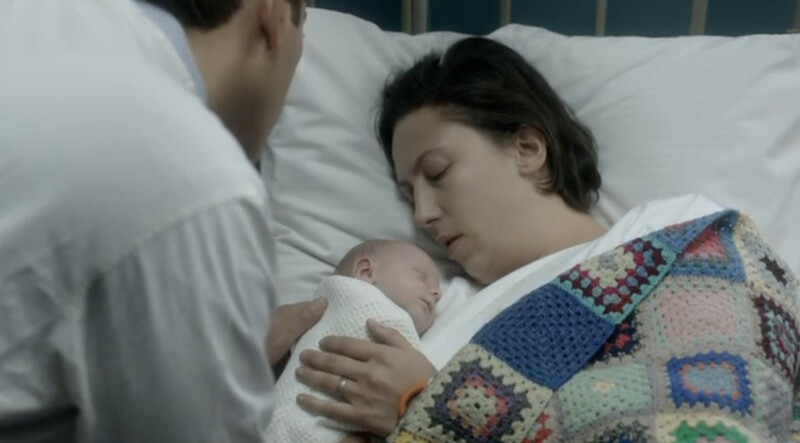 You all know that I love me some Call the Midwife. 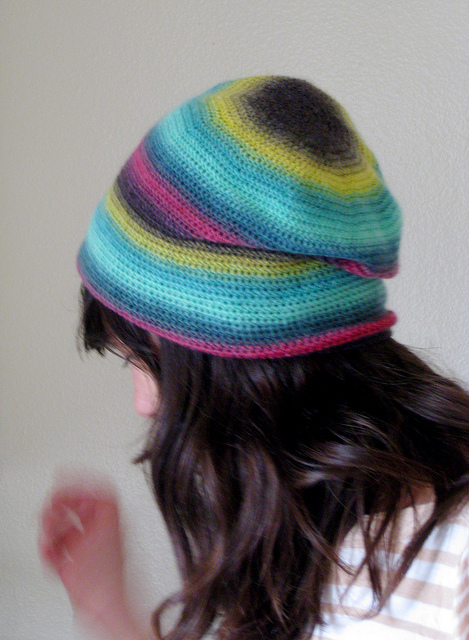 And you know that my eye for knitted objects on TV is absurdly over-developed. So it should come as no surprise that while watching the second episode of this season, I just about jumped out of my chair with delight. It’s amazing! 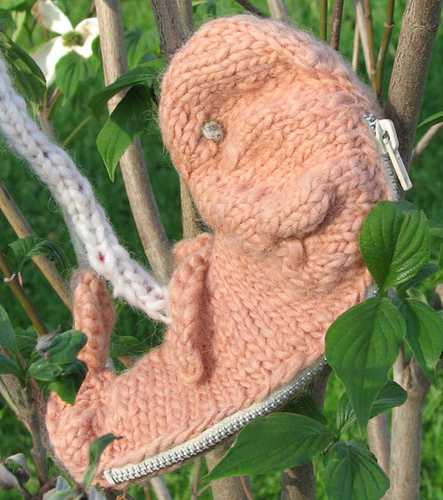 A knitted fetus and uterus model. How fantastic is that? I love seeing knitting used in unique and useful ways! I think I might have to take up midwifery, just so that I have an excuse to make my own fetus model. Or, I suppose I could just work on one to keep myself busy while watching Call the Midwife. 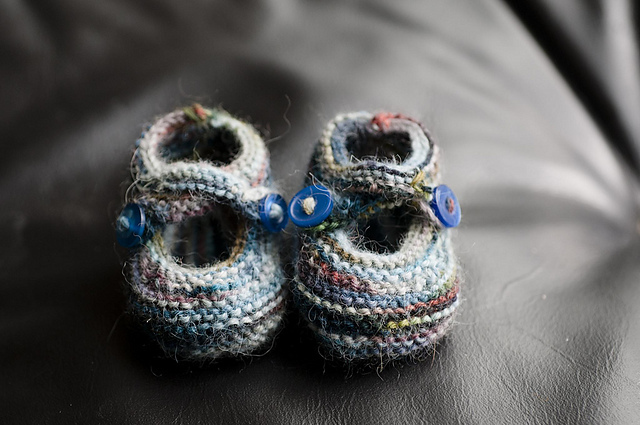 This entry was posted in Inspiration and tagged Call the Midwife, Chummy, fetous, fetus, knitted, knitted baby, knitted fetus, midwife, PBS, uterus on May 21, 2014 by onemilljellybeans. I, like everyone else in America, am a huge fan of Downton Abbey. If you’re not watching it, you are missing out. Sure, it’s basically just a soap opera, but it’s on PBS, it’s vaguely historical, and they speak in posh British accents, so it feels like you’re watching something with a little more substance than your average soap. 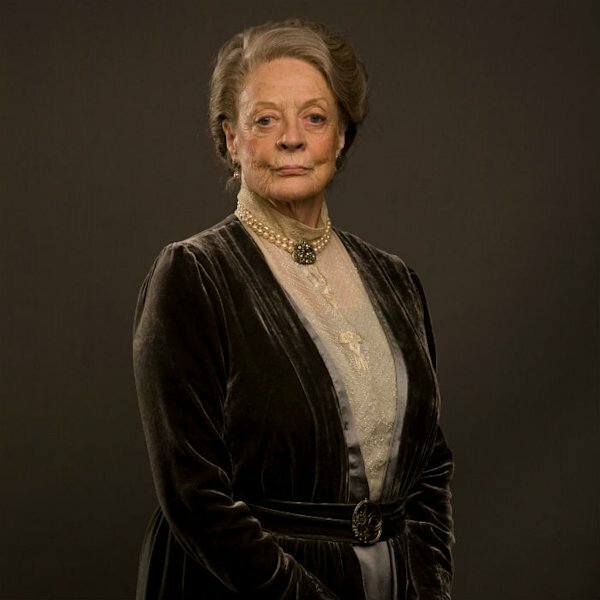 Also, Maggie Smith as the Dowager Countess is pretty much the best thing in the history of TV. Just saying. Unfortunately, while the costumes are historically accurate (and gorgeous) there is a definate lack of yarn-related garments. I’ve been on the lookout for a scarf, a sweater, or a pair of socks since the first episode, and frankly have come up almost entirely empty. There was one episode where they played cricket and wore sweaters, but that was it (and not terribly exciting). That was, until last night, when the under-cook Daisy rocked this crocheted hat when she went to go visit with her father-in-law. 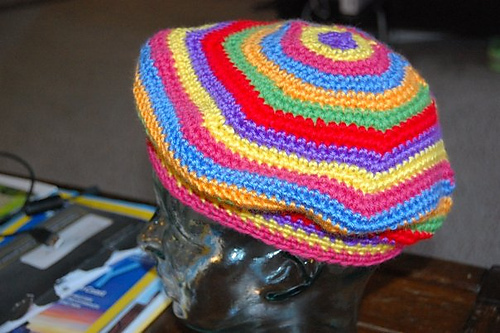 This entry was posted in Inspiration and tagged beret, cloche, crochet, daisy, Downton Abbey, hat, masterpiece, PBS, single crochet, slouchy hat on February 17, 2014 by onemilljellybeans. 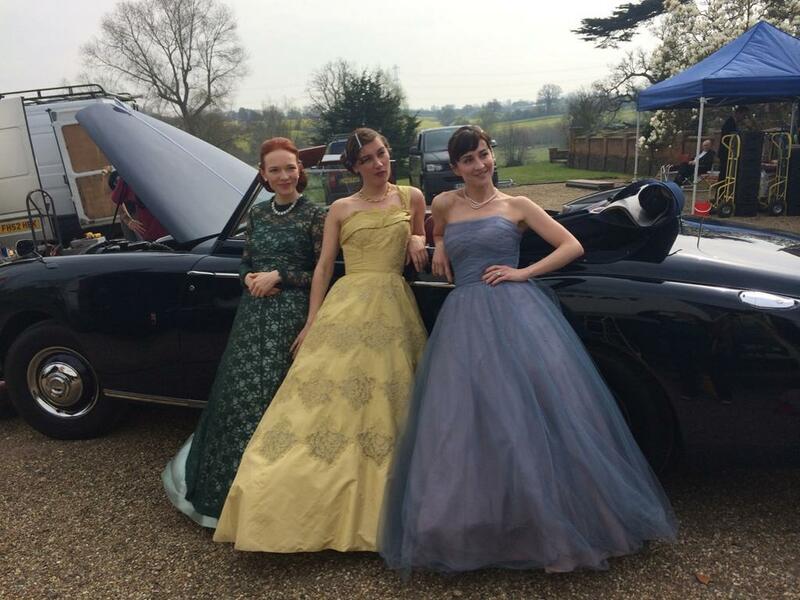 Now, if you’ve read any of this blog, you know that I have a major thing for costume dramas. I don’t know why, but I think they’re just great. And “Call the Midwives” is one of my favorites. The stories are great, the costumes and sets are beautiful, and I want to be friends with all of the characters. Also (and possibly most importantly…just kidding) the characters are all involved in “handicrafts,” and are always making things. 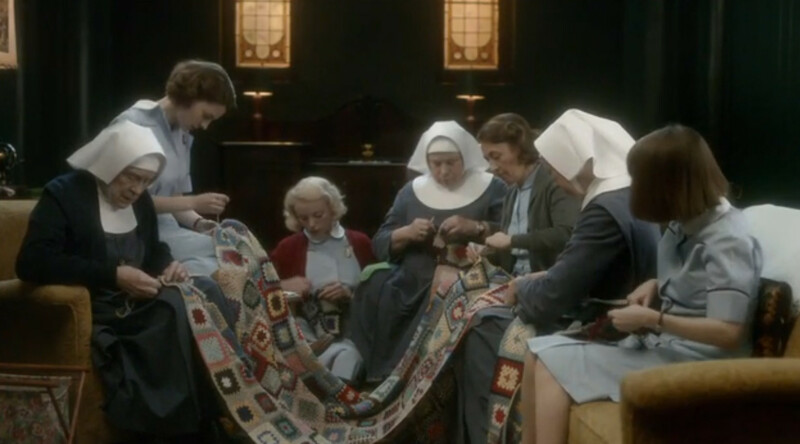 Chummy sews, the nuns knit toys for charity, etc. The makers of the show (the director? the producer? I don’t know about these things) are really good at making sure that the actors know what they’re doing. 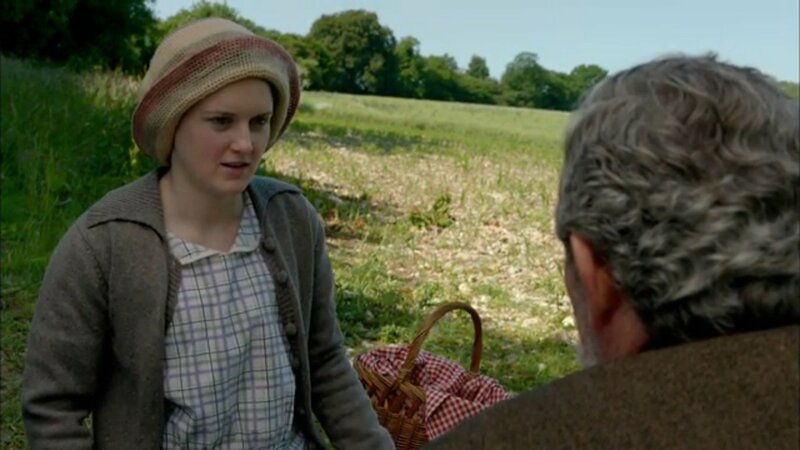 For example, when the character knits, the actor doesn’t just wave her needles around like someone in a cartoon. Holy anachronism, Batman! If you’ve done any fiber arts, you can probably recognize that the blanket squares the ladies are making are Granny Squares. These are super-traditional, basic building blocks of many afghans. And the number 1 thing about them, is that they are CROCHETED. Not knitted. Jenny and Sister Juliene deliver the blanket, and through the magic of love (doesn’t that sound like something the narrator would say? ), Chummy wakes up and everyone is happy and healthy again. Awww. This entry was posted in Inspiration and tagged afghan, babies, blanket, Call the Midwife, Chummy, crochet, PBS, TV on June 3, 2013 by onemilljellybeans.